Paving the way for detention centre seating solutions from the United Kingdom to the rest of the world. When it comes to large-scale seating which supplies detention centres, Zoeftig can guarantee only the highest quality products with a strong focus on innovation. From waiting areas in airport lounges throughout the globe to railway stations, health care centres and many other sectors, Zoeftig products can be found all over the world. Invest in the best quality, most durable seating for your detention centre and be assured that it will stand the test of time. With expertise which spans almost half a century, the Zoeftig name has been the forerunner of innovative design when it comes to detention centre seating. As a reliable brand which certainly sets the bar high for large-scale seating solutions globally, we proudly supply detention centres from around the world. Whichever style of seating you are looking for; we are happy to equip your detention centre by offering the most diverse range of seating opportunities. We take great pride in providing your detention centre with specialist furniture that is designed with strength and durability in mind. When you partner with Zoeftig you can rest assured that your detention centre seating will serve its purpose. 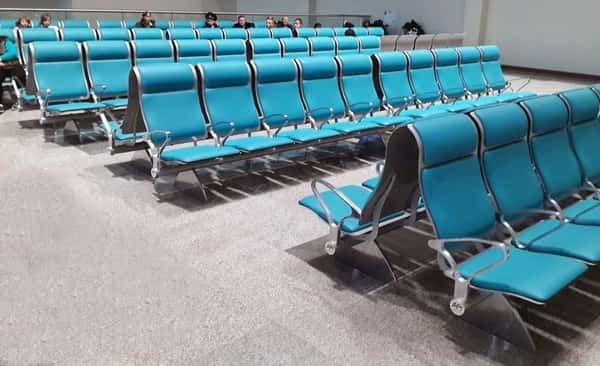 One of the many benefits of ordering your detention centre seating from Zoeftig is the option to create custom-made bespoke seating for a unique touch. Why not design your own seating arrangement and take the time to discuss individually crafted seating solutions with us. Don’t be fooled by the innovative, stylish design of our detention centre seating , Zoeftig certainly does not compromise on the durability of any products. With so much experience we know very well that seating solutions ought to be durable and robust in order to withstand rigorous daily use. So when you install Zoeftig products throughout your detention centre you can be assured to receive long-lasting quality and durability. This means you will not need to replace your seating areas as they are engineered to last. For more information about our full range of detention centre seating opportunities do not hesitate to get in touch with us today. Give us a call or fill in our online enquiry form and we will get back to you as soon as possible.